Ready for the cutest treat for Christmas? 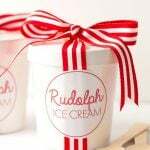 No-Churn Rudolph Ice Cream! I’m one to typically buy something if it can’t be made better at home. So when it comes to ice cream, I don’t have an ice cream maker (I think my husband has maxed me out at kitchen gadgets) but I recently made pecan pie ice cream, no-churn style and I’m hooked! It only takes minutes to make and when I made mine in the morning, it was ready that night! Plus, it’s just so darn cute for the kids (and adults)! 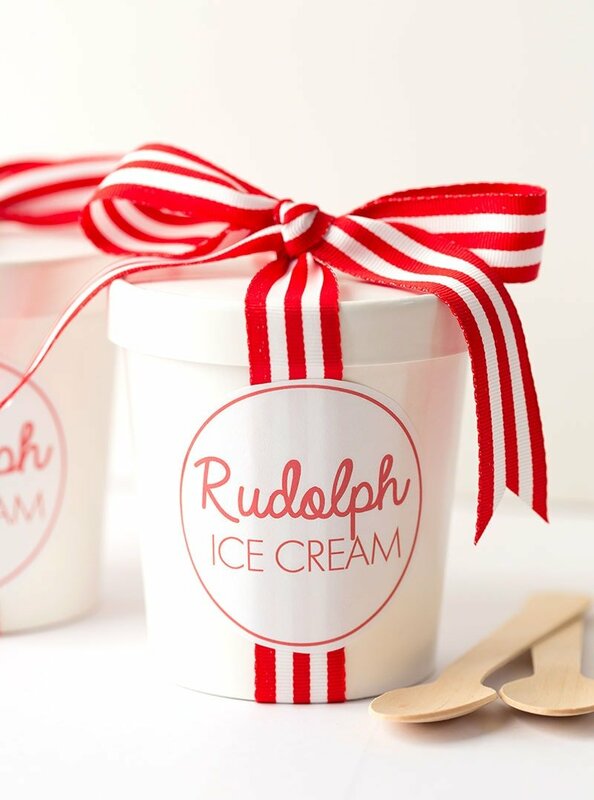 I also made a handy little video for you to see just how easy this Rudolph ice cream is to make! Trust me, you can do it! And your family will thank you! Find the video below! 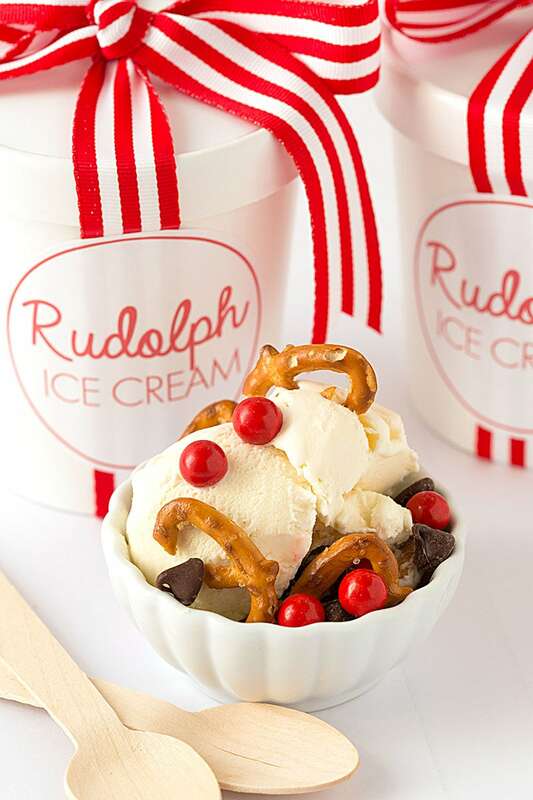 Try this delicious and easy Rudolph Ice Cream for Christmas! In a chilled electric mixer bowl, whip your heavy whipping cream until thickened. You don’t want stiff peaks to form, however. Pour in the sweetened condensed milk and the evaporated milk, and beat on low until combined. Add in pretzels, chocolate, and candy-coated chocolates. Pour into ice cream containers (you can also use a metal loaf pan and top with wax paper). Freeze for 8-12 hours (or until firm). There you have it! Pretzel antlers, candy chocolate Rudolph “noses”, and chocolate just because! You can certainly add in marshmallows or coconut for “snow” too! Favorite Party Ideas for New Year’s Eve! This is darling. Great, great job on the video!! Adorable! Do the pretzels get soggy? Yum. Looks and sounds so delicious.